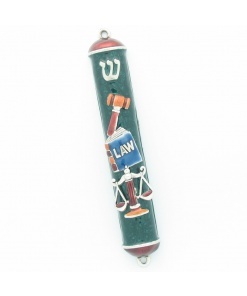 This Mezuzah Case makes a statement at an affordable price. 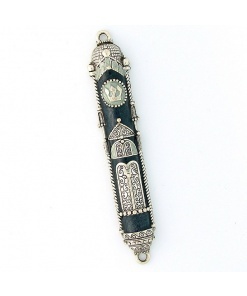 Here’s a display of this entire Mezuzah collection. I was running very late this year in terms of gift purchasing… 3 day before hanukkah I bought this beautiful mezuzah as a gift for my daughter. I was pleasantly surprised when it arrived 2 days latter just in time. 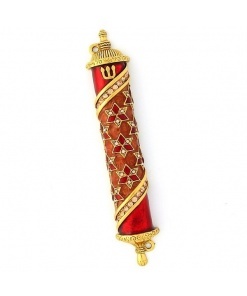 The mezuzah was packed well with nice gift wrapping and to top it off the shipping was free. Highly recommended. I am very happy with the order that I made for my mother’s new home. She loved the mezzuzah but had issues hanging it on the metal doorframe. 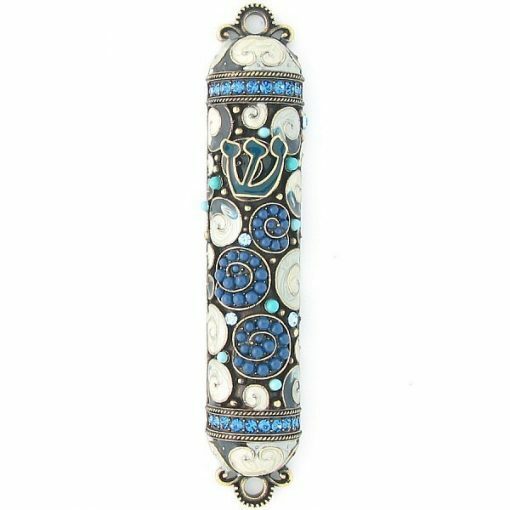 I contacted Mezuzah Master and they sent me adhesive strips that fit the back exactly and it is now hanging beautifully on my mother’s doorframe. Thanks so much. 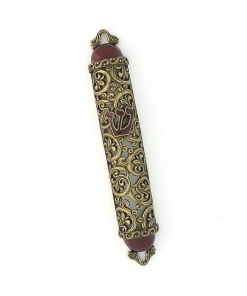 The Mezuzah is more beautiful in person than the picture portrayed. I sat and stared at it for a few moments admiring The craftmanship. I also have to commend your company for your prompt delivery. I had an excellent experience with your company and would order from you again with no hesitation. 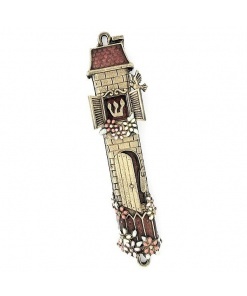 This Mezuzah is a true work of art. It is so beautiful and I am proud to have it on my new home. 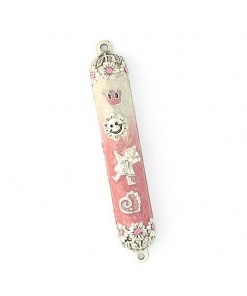 This mezuzah is exactly as pictured. 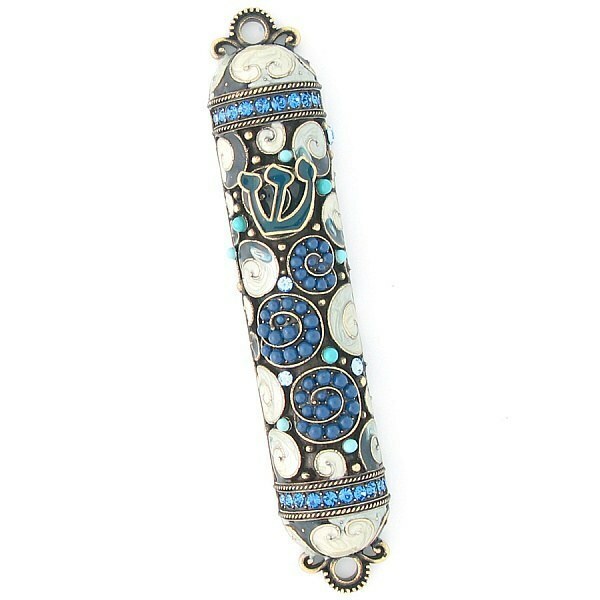 It’s so gorgeous and I’m so happy to have it hanging on the doorpost of my room! The Mezuzah was very pretty. It was smaller than I expected, but still perfect. 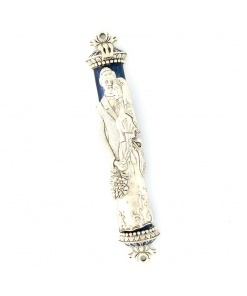 Every purchase that I’ve made with Mezuzah Master has always been a good experience! 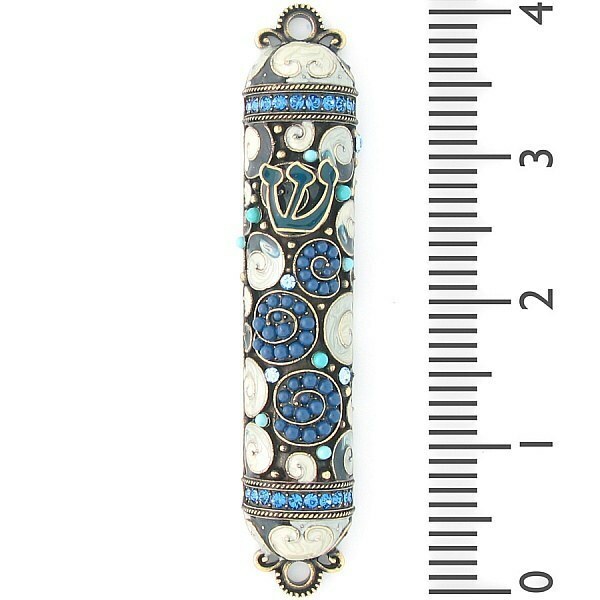 I am very pleased with this beautiful mezuzah that was promptly shipped and I was so glad when it arrived. 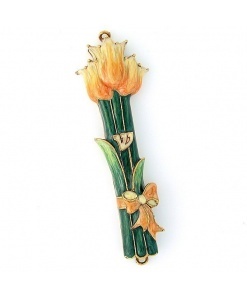 Today, finally I said the barucha, affixed it to the doorpost and a wonderful feeling washed over me. And it looks so beautiful. Thank you so much for offering these treasures.